The Omnium is a traditional track cycling format, combining various events into one overall competition, similar to a stage race. 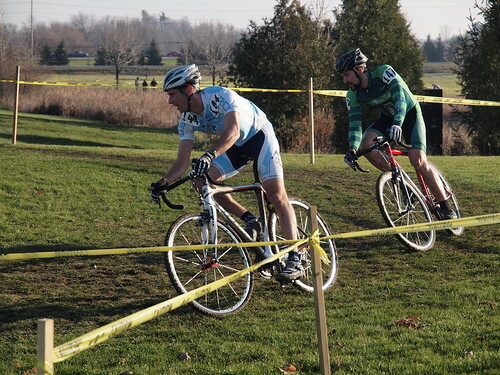 Nick Vipond and Warren McDonald, Ottawa's two cyclists most into Buffy the Vampire Slayer, put out a call mid last week: race thrice, transcend the ranks of mice. Its not that it hadn't been done before. 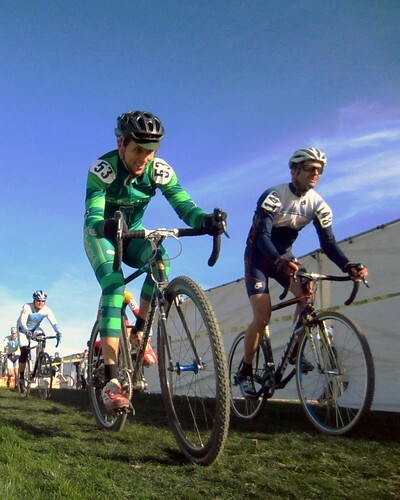 Over the last couple years a number of Masters racers had omniumed. But they didn't know it, because the trio had not yet been named 'Omnium,' and thereby lacked the immense weight of intercred (internet credibility - yes, I just invented this). Our Omnium would be Epic-Rap-Battle-of-History-awesome (featuring Stephen Hawking). And I would be Stephen, with 12 inch rims. your mama took all the ugly ones and put them into one nerd. Saturday's Anvil race, thrown by Ride with Rendall, Glenn Rendall at the helm, offered the requisite dose of goose poop and turns. 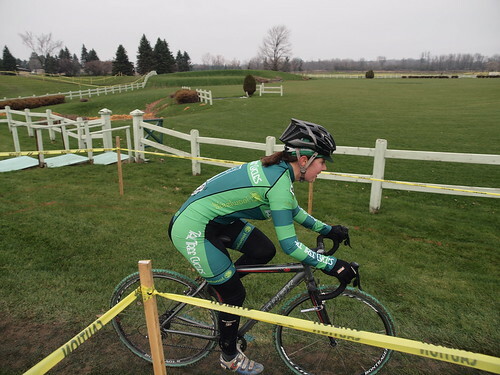 In truth, the goose poop seemed isolated to the not-race-course-area, which was nice, as that stuff can be slippery. 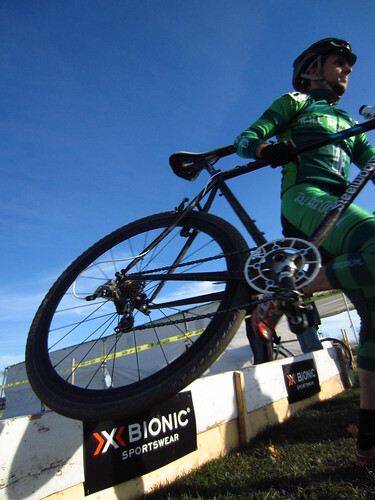 While on paper the track might have seemed to favour riders who like turns, and not so heavy on power requirements, on tires the race was demanding in every way. The start was a short punch, followed by many turns, many of which had to be sprinted out of. 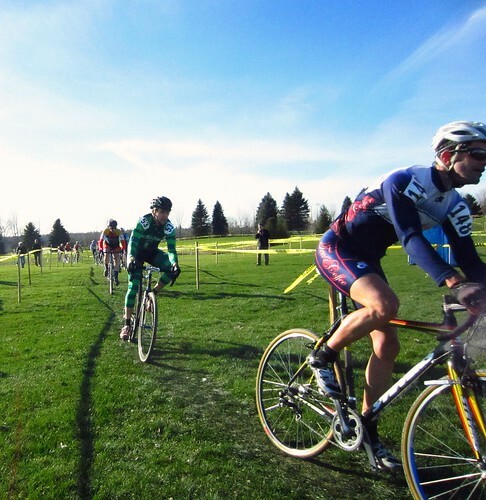 The Master 1 and Elite fields started together, so I was following the likes of Derek St. John and about 7 other guys as they punched like it was election day. 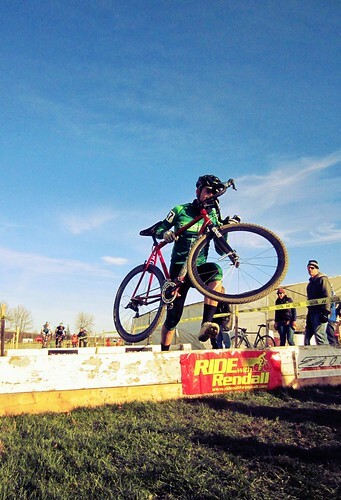 It didn't take long for me to start suffering, opening the door for Kris Westwood and Steve Proulx to pass and ultimately triumph, with Steve on the top step. I wound up in a tactical battle with the ever strong (and father of two) John Fee. After following/sucking his wheel for a couple laps, I took up the lead (John 'forced me to') and attacked as often as I could. I wanted to make it as uncomfortable for John as possible, and it worked. He was right on my wheel turning into the finishing straight, but I was able to hold on by 4 inches for the third step on the podium. It was a fun battle. 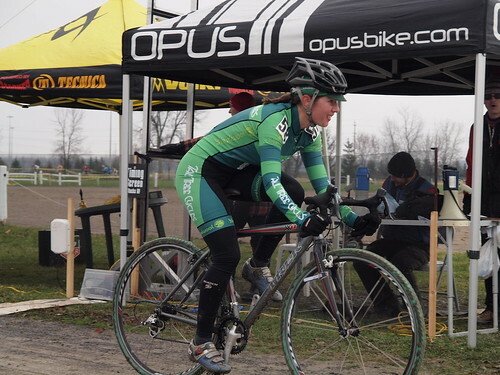 A freezing rain warning for the Almonte area had us all on standby for the morning's race. I figured I couldn't lose: race or have breakfast with my family. As it turned out, the freezing rain never came, and the volunteers were out dark and early to set up. It had rained all night though, and continued to do so as we prepared for 'warmup.' The course was laid out a little differently than usual due to lakes forming, but the result was much like previous years. 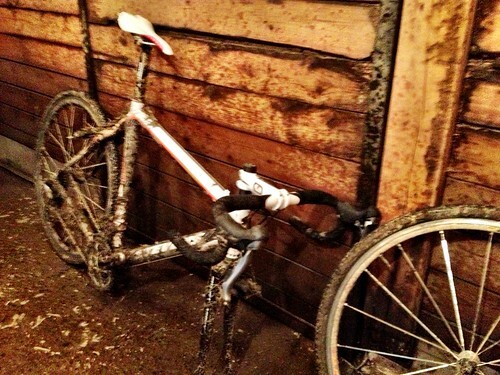 Being waterlogged, the track was very slow and 'heavy' to ride. 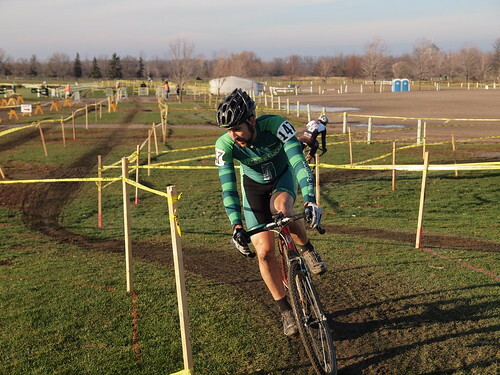 A good start at 9 a.m. (thanks to Bob Woods et al accommodating those who wanted to race again later on in Nepean) had me positioned behind Matteo dal Cin. My strategy was to secure the win in the Master A category with as little effort as possible, conserving for later on. Staying with Matteo was more work than I was interested in doing, and hard charging Arno Turk (Master B) and Colin Funk (Master C) caught up before long and powered away. A couple of fine riders there, impressive! 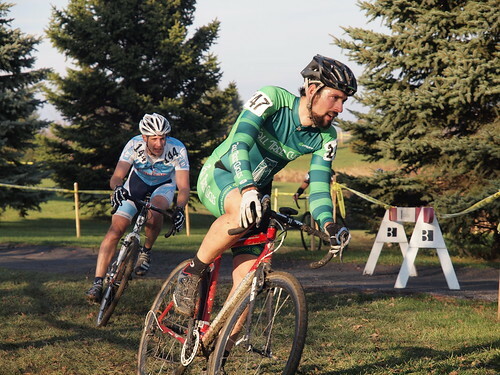 Imad El-Ghazel regained his composure, got comfortable with the ample supply of mud, and chased down Marcel Vautour, who'd come up, riding strong. 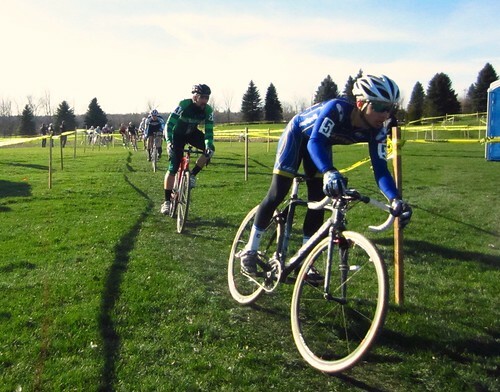 There was no free speed on hand; this had to be the most physically demanding cx course I've raced. The descending turns that required foot out technique were a blast. Jim's family cheering us on was even better! Thanks McGuires!!!!!!! Post cafe stop and failed attempt to wash bikes at a car wash, we were en route to the Nepean Equestrian Park for the Omnium capper, the Anvil. Alerted to the fact that the stables had a bike wash set up, we enjoyed warm water lavage, aided by my Pedros bike brush, booty from Saturday's Hammer. A few Dark Horse Flyers gents showed up and were keen to hear about other races in our area they might hit in 2013. 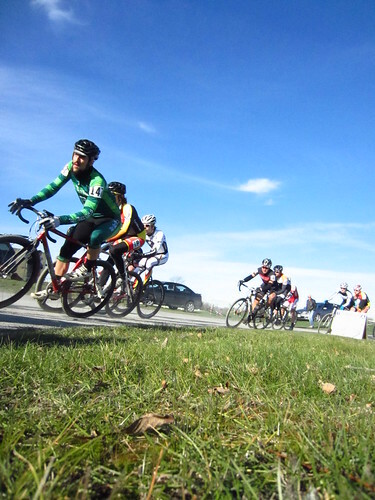 I was happy to convey details about the other venues, as well as plug the Almonte Roubaix, Clarence Rockland Classic, and our Ride of the Damned. With luck, we'll see some of the Toronto guys at a few more of our Eastern events next season. We're already mapping out our 2013 season! My Steelwool is out of commission after an incident involving a stump and 35kph. 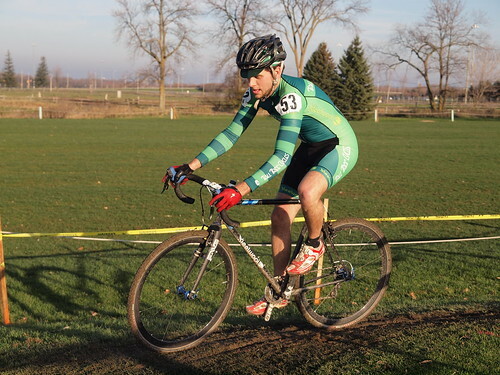 Jamie kindly loaned his Salsa frame to get me through the rest of the season. Imad wasn't so elated after realizing the shower featured cold water. 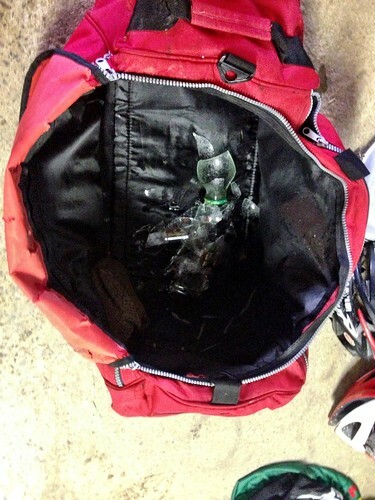 ...or the fact that a glass bottle broke in his bag, wetting his clothes for race #2. Nick brought the right hat, but the wrong footwear. I left my Bogs at home in favour of my Birkenstock clogs. Also brilliant. Ready to roll, skinsuit applied, back over to the race zone to see our own Anna O'Brien take third in the Master A women's race. Way to go Anna! Jamie showed up just in time to not do a lap of the course (a series of unfortunate events...), then we staged for the start, this time Elite and Masters divided. I considered this advantageous, as it would mean I could pace off Steve and Kris, rather than the guys at the front of the Elite group. As luck would have it, I became detached from Steve and Kris anyhow, and once again found myself with John Fee through the back half of the race. This time I played my cards differently, knowing John would expect me to do the same as Saturday. 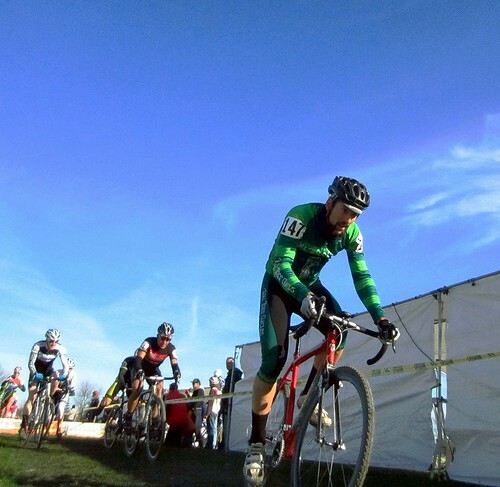 In the lead with two to go, I punched hard as I passed an Elite, then took an off camber corner running, rather than riding. 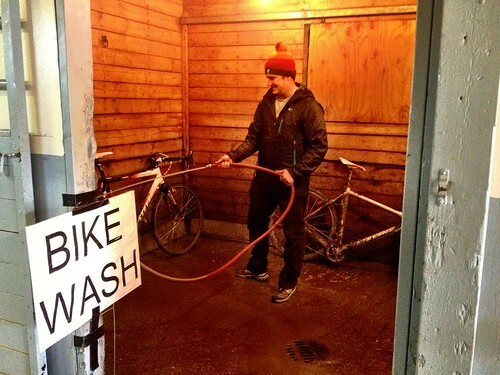 I pictured how Sven Nys does it and went for it. The turn had been so slow on the bike, I figured I could open a gap by running. It worked. 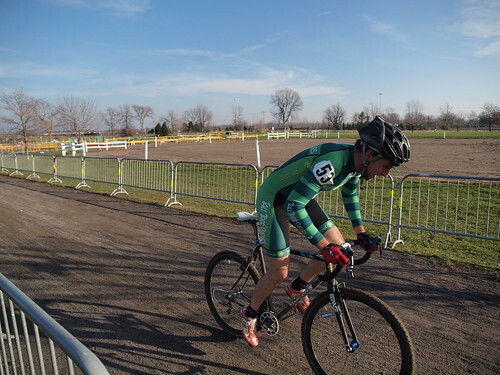 Being pretty well recovered, I was able to attack hard and keep on the gas, taking chances in the turns just shy of flat out. The gap held and I ran the turn again on the last lap, John following suit. 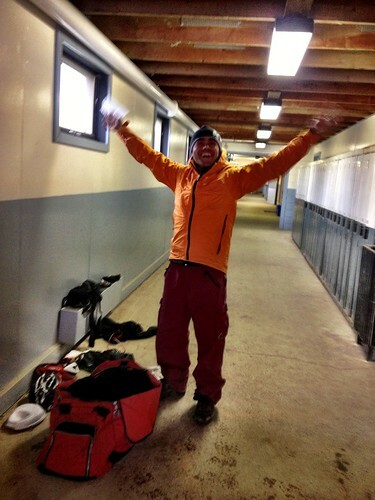 From there I was able to roll in solo, again securing third behind a reversal, Kris on top, Steve on the second stop. Congrats gents, fine riding. Same to John, always a formidable foe. It feels much better to secure a third spot when you have to work really hard for it. Andy snapped these, nice work. 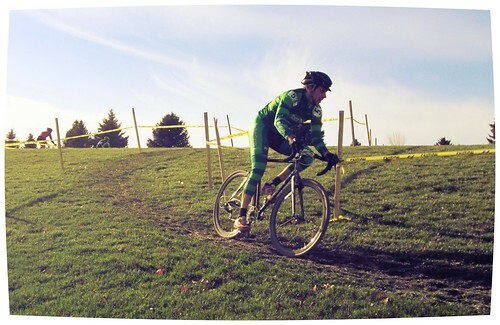 For the record, Sunday's course seemed to flow more than Saturday's, requiring fewer sharp accellerations. 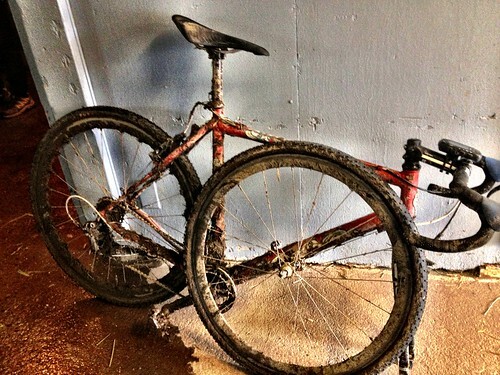 Perhaps this is just the impression I got as I was too tired to ride as hard as I could on Saturday. Anyhow, it was fun. 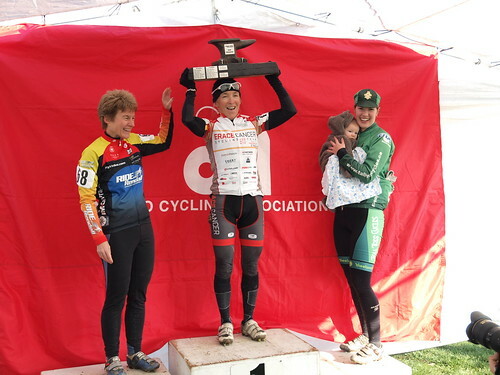 Given the fact that Warren had bailed o Saturday morning's race (though it might not have mattered for the results), the Omnium podium was topped by Doug van den Ham, followed by Imad and myself. Doug was the proud recipient of the winners jersey, a relic from Nick Vipond's tickle trunk. Congrats on three fine races, gents! A big thank you goes out to everyone who made each of this weekend's races not only possible, but great. Thanks to everyone who came out to spectate and cheer, it really does make a difference for the racers, even if we don't show it. And thanks to Rodd and Andy for snapping photos. Click through any of them to see everyone else. A bit of what you want, a bit of what you need.